Yes, what you have heard is true: Taco Bell has launched a streamlined app that lets you order your Volcano Nachos and XXL Beefy 5-Layer Burrito ahead of time and pick them up in-restaurant or via drive-through. The Mexican fast food chain is the first to fully embrace in-app ordering, which competitors like McDonalds have so far trialed only on a limited basis. 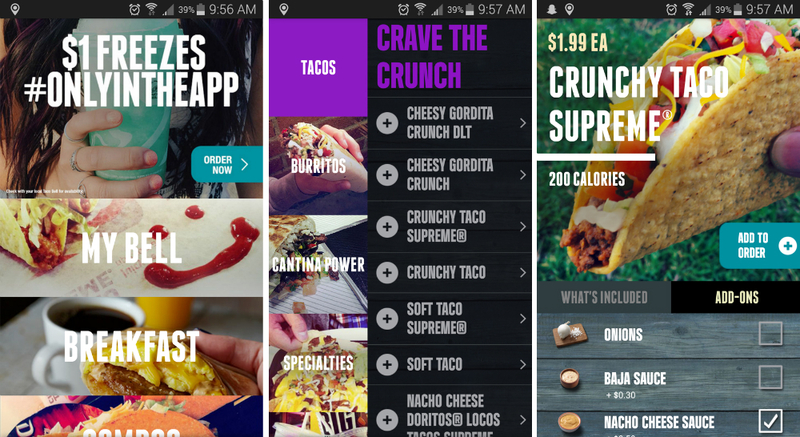 The app includes every item on Taco Bell’s vast menu and supports custom selections, with the potential for toppings and items exclusive to the app in the future. To speed things up, you can reorder with a gesture; rotating your phone will pull up your last creation. Should you wish to try expediting your next caloric bomb’s journey from kitchen to gullet, the app is live on Google Play.